A teenager has plunged to his death from a high rise’s balcony during Schoolies celebrations. 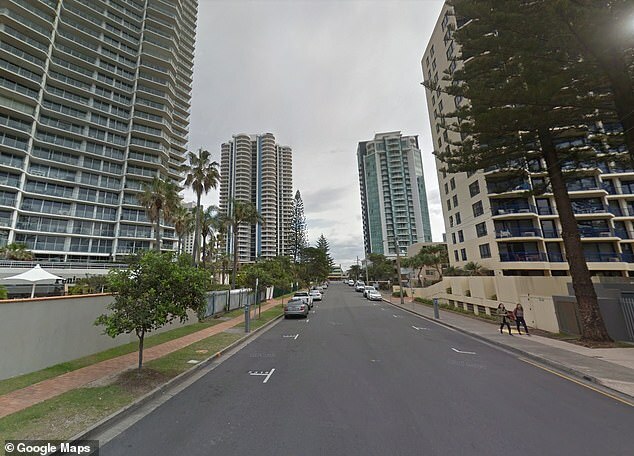 The 18-year-old from Sydney fell from a balcony at the Surfers Regent Apartments on Laycock Street in Surfers Paradise on the Gold Coast at about 5am on Thursday. There are claims that he had inhaled nitrous oxide, otherwise known as laughing gas or nangs, before he fell, the Courier Mail reported. ‘Police are treating the death as non suspicious,’ a Queensland Police spokesman told Daily Mail Australia. The teenage was from Turramurra High School on Sydney’s upper north shore. He was staying at the Surfers Regent apartments with friends to celebrate finishing school when he fell off a balcony. Red Frogs coordinator Andy Gourley declined to comment but confirmed the volunteer group was speaking with police. Counselling is being offered to fellow school leavers on the Gold Coast following the teen’s death. The teenager’s death comes after police issued a warning to Schoolies about staying safe on balconies. Videos and pictures have emerged on social media showing some revellers drinking beer over the edge of balconies, however that is not believed to have been the case on this occasion. Dangerous behaviour on balconies can lead to eviction and even police arrests. The Queensland Government has issued some tips on balcony safety to keep young people safe during their Schoolies week.